Will Anil, Sonam Kapoor's next film star Vinod Mehra's son Rohan? 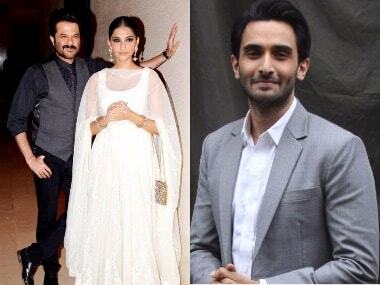 After it was reported that Anil Kapoor may star in a film with his daughter Sonam Kapoor, which is to be helmed by Vidhu Vinod Chopra's sister Shelly Chopra; the latest buzz is that late actor Vinod Mehra's son Rohan might also be a part of the project. Rohan who is all set to make his debut with Nikkhil Advani's Baazaar, might be a part of the project that has many family ties at its nucleus (Anil-Sonam, Vidhu-Shelly). Shelly however, was reportedly very evasive when contacted about the details of her upcoming project. "Nothing has been announced yet and I am not at the liberty to say anything. It will be announced shortly. No, no comment. Nothing has been announced. The only thing I can say is yes, I am working on a film and it is in the process of being cast. It will be announced very shortly and then everybody will know. We shall announce it and then we will all know at the same time," said Shelly, according to a Mumbai Mirror report. In the meantime, Anil has started shooting for Rakeysh Omprakash Mehra's musical Fanney Khan whereas daughter Sonam Kapoor is caught up with her sister Rhea Kapoor's production Veere Di Wedding that also stars Kareena Kapoor Khan. 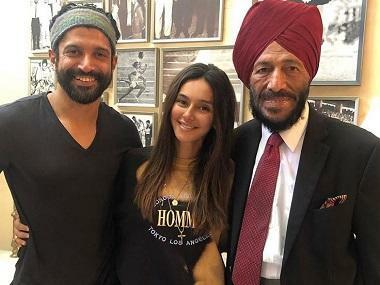 Anil will also be seen alongside his son Harshvardhan Kapoor in a biopic based on the life of Olympic gold medalist Abhinav Bindra. The father-son duo will be sharing the same relationship on screen as well. 1Will Anil, Sonam Kapoor's next film star Vinod Mehra's son Rohan?